What Happened to Meru Mulika Lodge? Part two of Meru National Park’s demise, then revival as an exquisite tourist destination. 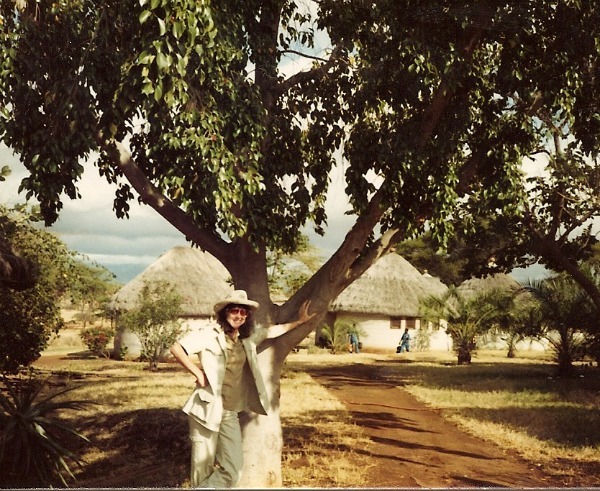 I’ll never forget Meru Mulika Lodge – not for the usual reasons like five-star accommodations or gourmet meals or eco-friendly, but for the multitude of mishaps created by my clients. Although some of the incidents were pretty hilarious, the lodge soon became synonymous with trouble. At the time, Meru Mulika was the only full service lodge in the park and considered a grade A, luxury property per Kenya standards. Leopard Rock Lodge existed only as self-catering accommodations as well as a few camp sites. 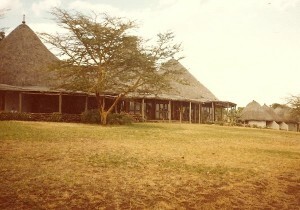 The main building was rustic, partially open-air and covered with makuti thatch. Most everyone hung out in the lounge since it was cool and offered overstuffed lounge chairs – perfect for collapsing in with a cold beer after game drives. Rondavel huts also topped with makuti, branched out from the main lodge and housed two double bedded rooms. Accommodations were basic but clean. During my first visit I learned how fragile generators can be, and how vital a good working relationship with management is, so when something goes awry as a result of one’s client, the damage is easier to repair. After a hot, dusty game drive my clients disappeared to get ready for dinner, and I ended up in the lounge chatting with the manager over a couple of ice cold beers. About halfway into the beer, I commented to the manager that the normal hum of the generator didn’t seem as loud. He just shook his head. About that time the generator emitted a loud whine, lights flickered and went out, then silence. The manager looked terrified, said something in Swahili and ran off. As I walked back to my room, I dreaded all the complaints that no doubt I would hear at dinner. I rounded a corner and literally ran into one of my clients. She stood there with stress etched across her face, towel wrapped around her head, wearing a wet t-shirt. “Yes,” she said and practically burst into tears. She had been blow drying her hair and, “something happened.” The manager forgave her, and staff managed to repair the generator just in time for dinner. Life at the lodge didn’t get any easier. With each successive visit, along with my client disasters, the place fell apart. Brown water spewed from faucets, toilets wouldn’t flush, showers dripped, hot water didn’t exist, food tasted old and they turned off the generator earlier at night. Game drives became a futile search for any kind of wildlife, and just prior to our last visit a brush fire almost took out the lodge. Consequently my group was greeted by the smell of acrid smoke, which wrapped around us like a shroud during our entire stay. After that, Meru Mulika continued its steady decline along with wildlife numbers. Now reportedly in the process of renovation, the lodge will hopefully be upscale and eco-friendly to coexist with two exquisite lodges in the area – Elsa’s Kopje and Leopard Rock. Now that Meru National Park is resurrected and wildlife is back, it’s time to pack my bags! Next week – how the park was revived and its future. This entry was posted in National Parks and tagged Elsa's Kopje, Leopard Rock, Meru Mulika Lodge, Meru National Park. Bookmark the permalink. This is a great story M. Makena, i remember back when i was young and it was around the time the hotel was completely run down and it seemed like a deserted place in the middle of no where.. looks like they are going to renovate and upgrade! sounds fantastic and i would be looking forward to coming back to kenya and visitng Meru Mulika..